Sometimes, it’s fun though, to create your own…especially when it only takes a few simple supplies, and about a minute’s worth of time. A single minute was all it took to create this fun tissue paper flower that I used as an embellishment on my layout. You too, could make one in just these few simple steps! 1. Gather supplies: flower die, tissue paper, decorative brad, manual die cutting machine. 2. Fold and cut tissue paper to create 7 layers, and run through die cutting machine. 3. Insert a decorative brad into the center of the stacked layers. 5. Voila! It really is as simple as that! A quick and easy flower to incorporate into your next layout. Thank you so much for joining me today!!! Wishing you a happy and inspiring day!!! Joining in the fun this hour is our friends from Doodlebug Designs and Taylored Expressions! Thank you Doodlebug Designs and Taylored Expressions! For an opportunity to WIN these prizes, please leave a comment below by Saturday, May 9th! Winners will be announced on the SCT blog on Wednesday, May 13th! Good luck! We would love it if you could take a moment today to thank all our partners on their facebook pages! A "thank you" goes such a long way and we know how much they appreciate it! Why not "like" them while you're there. We sure do! Join Nancy Damiano right here at 12:00 PM! Die-cutting tissue! I love it! Thank you. I’d love either of these, since I have an album for my new grandson! Such a pretty layout! I love the flower! Love making flowers! Great idea! I love that tissue paper flower! Never thought to do that before. And thanks for another great prize. Love the “Sunkissed” paper collection and baby dies! Love the Doodlebug papers — very summery. Thanks for the opportunity to win! Love, love, love the baby layouts! Thanks for the tutorial on the flower making! And for the great giveaway! So love your little tissue paper flower! I LOVE this tutorial especially since I have so much tissue paper hanging around in different colors and patterns! Thanks! Doodle bug is one of my favorites.. so bright and cheery!! 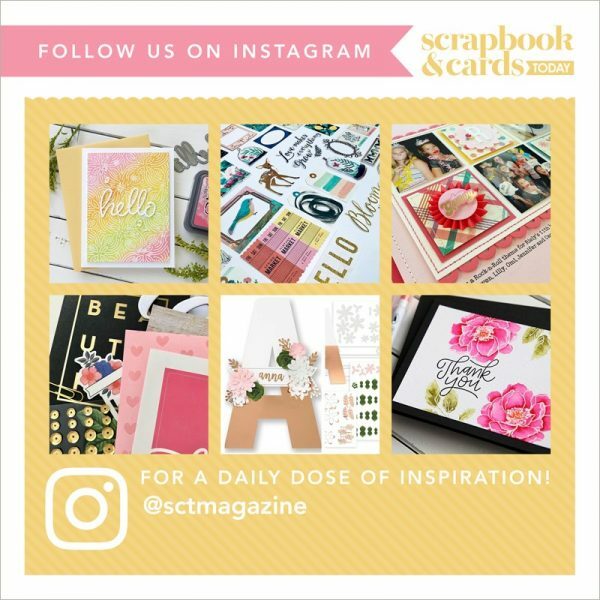 Awesome Giveaway.. cant wait to start creating!! I just started my baby boy’s first year album… amazing! I love making flowers but haven’t done with tissue paper–going to now!!!! Thanks for the inspiration! The prizes are always so amazing here!!!! Can’t wait until 12:00!!!! beautiful flower and cool page! Tissue paper flowers are so delicate and pretty! And pretty, pretty easy, too! Love this “Sunkissed” summer collection. What fun cards I could make with this paper packet! The baby die package is to die for! What an awesome giveaway. Thank you Doodlebug Designs and Taylored Expressions! Beautiful flower! Thanks for another amazing giveaway. Love the tissue flower … definitely going to make some of those! Thanks for the great giveaway! Thanks for sharing how you created this flower. Never thought about die-cutting tissue! May try this today 🙂 Thanks for the chance! Great idea. So much fun online today. Love the flower-I will try that one today! Thanks for the mini tutorial on the tissue flower!!! Lovely!!! flowers are so fun to add to layouts and cards…great inspiration! Thanks for sharing how you made the flower. What a neat idea. What an easy and fun way to make a flower! So cute! What a cool way to create a flower! The give away is great thank you! Thanks for the tutorial and prize chances. I will be making some of those flowers, thanks for sharing. Doodlebug always has the cutest most fun products. That collection just shouts summer! Beautiful layout and the tissue paper flower is stunning…and so simple! And what fabulous prizes…thanks for the chance to win! Perfect for summer fun with the grandbaby. Thanks for the chance to win:) Happy NSD! Love the idea with the silk paper! Loving those tissue paper flowers! What a great idea! And I love Doodlebug and Taylored Expressions! What great giveaways! am so swooning over those prizes!!! Nice and easy way to create a flower! I have tons of tissue paper in many different colors, can’t wait to try this, thank you for the idea! I am going to try making a tissue paper flower today! What glorious colors of summer, and who doesn’t love love babies. The flowers are also great for card making. Thanks for supplying prizes. LOVELY LO! I love the current colors as well. What a beautiful layout and the flower is really nice and simple to do. Thanks for sharing. I would love to win this lovely prize. Thanks for the opportunity. I am going to have to try that flower technique. The tissue paper flower embellishment is darling and so easy! Thanks for sharing. I love flowers on a layout too and this one looks good and easy to make. Loving the inspiration today. And aren’t these 2 companies fantastic. 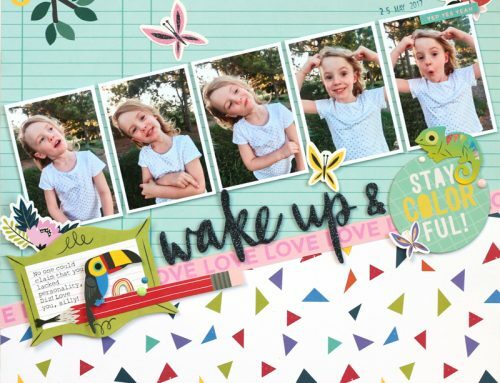 Love the bright colours of Doodlebug and Taylored Expression dies are fabulous. This is beautiful! Love the tissue flower! Crafting overload!! There is too much WONDERFUL here! The great tip for making 3D flowers is genius! And then the darling page layouts! Beautiful! I would love to have these dies. I don’t have ANYTHING like them already, and they would be great to use on cards and layouts! Thanks for being part of NSD!!! Wow..what an easy and cool idea….I have a little grand-daughter so know I will use the flower a lot! Love that tissue paper idea. cute and inexpensive. Love, love, lovethe flower idea, thanks. Great prizes too as we have a new addition to the family to use those on. Beautiful scrapbook page — love how you created the flower. Thanks for an opportunity to win some great prizes! Thank you for the chance to win any of the prizes today! Happy NSD to all!! I really like how those flowers were made. Thanks for the inspiration. Also thanks for another great giveaway! Love the flower and the baby layout is adorable! Love the tissue flower. I will try it. I love the Doodlebug papers and Taylored Expressions too. A simple idea with a lot of impact. Thanks! Love those tissue paper flowers. 🙂 Thanks DB! I am going to scraplift this please? Thanks for the amazing contests and giveaways to you and the generous sponsors. Love the flower idea! Happy NSD! Thanks Sheri am going to try making that flower. Amazing prizes would love to win. Love this. Thanks so much for the chance to win!!! Love your flower. Going to try it now. Thanks for sharing. Happy NSD! Its all awesome! The vellum flower – such fun to try. Love the Doodlebug paper and embellies; and, of course, Taylored Expressions . . . what can one say, would be fun to play with all of it!! Love the colour combo on the layout! It really catches your eye! Doodlebug is my fave! I’d love to win! These are amazing prizes, so generous. That flower is super pretty, I wouldn’t have thought to try that! So perfect for the upcoming summer. I love 6 x 6 paper pads. Thank you Doodlebug Designs and Tailored Expressions for these awesome prizes! Thanks for the chance to win! Pretty flower! Thanks for sharing! Terrific prizes! Thanks for the opportunity! I love love love Doodlebug!!! OMG, I am fully addicted to Doodlebug! Thanks for doing these giveaways. Off to visit the sponsors on FB! Really love the layout and tutorial. And, such wonderful prizes. Thanks a bunch. Love your project and your tissue paper flower idea. I am so going to try that today!! Great prizes this hour too!!! I so love that flower and such an amazing layout and prize. Thank you both for the chance to win!! The flowers, so simple, so beautiful! Love it! I teach a kids card making class and I have to add that tissue paper flower to my syllabus for next year. I think the kids will love it! Love the flower idea, thanks for the inspiration! Happy NSD! Thanks for the chance to win! Love the tissue flowers. Thanks for the chance to win this giveaway. This would be a great prize! I am buying myself a die cut machine today and these dies would be fun to work with. Yay NSD!! Yay prizes!! Thank you! Doodlebug is my absolute favourite for capturing memories of my toddler. Thanks for sponsoring this giveaway. Love this idea and what an easy way to make a flower. Doodlebug Designs always inspire happiness! The baby designs from Taylored Expressions will help make some great cards – perhaps I’ll send one to William & Kate, who just had their baby girl this morning!!! Thanks SCT! This flower made of tissue paper is a great way to add texture and dimension to a page. Thanks for sharing! A HUGE thank you to Doodlebug Designs and Taylored Expressions for these amazing give a ways. I love both of them and would love to win either. Thank you again. Best colors are from Doodlebug! Taylored Expressions and Doodlebug? I think I am in heaven. Thanks for a chance to win. SO Love these for my new grandbaby born last week! Love the colourful Doodlebug!!! And those dies are precious!! What a beautiful flower. Thanks for the instructions to make it. What a fabulous way to create a flower. I bet I could customize them to coordinate with a LO by coloring them with Copics. Now I know what to do with all my tissue paper! Loving the giveaways! Thanks for sharing! Great flower technique. Thanks for sharing, and thanks for the chance to win. Thanks SCT for hosting a great day!!! Happy NSD! What a great idea for a flower! I love the pop of colour in the “Sunkissed” collection and the great dies to celebrate baby! Love Doodlebug designs! Thanks for the opportunity to win this package. Also have numerous friends with brand new babies to photograph … then could make some great memory items for them with these items. Love the tissue flower…will have to have a go at this!!!!!!!! Another fantastic giveaway!! Thank you! Such great collection for the summer. Love both of these companies – thanks for the inspiration!! Such a pretty layout, i love flowers and butterflies. Wow what a great layout! These are two wonderful companies. Loved the tissue flower you created…will have to try it. I love bright colors and this set is awesome!! what a fun day!! Thanks for the technique tips. Love the layouts and the awesome giveaway! I love Doodlebug products. They are always so cheery & bright! Super prize package. Thanks for a chance to win. I never think to use tissue … I really like that flower. A great prize. Thanks for the great inspiration and great prizes today. Doodlebug and Dies, oh my! Such beautiful papers and awesome dies. You can never have enough of either! Thank you for the giveaways and the chance to win these awesome prizes. Doodlebug is always so cheery! Adorable baby dies! Oh, my, so cute! Would love to get my hands on these! Great layout! I love how the background papers incorporate all the colors in the photo! Love love love this idea! Thanks Sheri!!!! thanks for the idea of making the flower. I absolutely love Doodlebug’s bright papers! Thanks for another amazing giveaway and the chance to win! Adorable layout. Thank you to Doodlebug and Taylored Expressions for the chance to win a lovely prize. What a great technique for making your own flowers. thanks for the idea and this chance to win. Such a pretty flower for something so easy! Tissue paper flowers, OH the possibilities! What a cool idea. Thanks for sharing! Great flower idea! thanks for the chance to win. Awesome companies and prizes! Thanks! Love the tissue flower! Thanks for sharing your process! 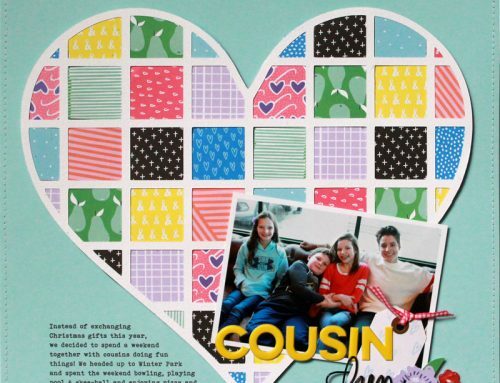 Thanks so much for sharing how to die cuts with tissue. And again…great prizes. That tissue paper flower is just perfect! The lightness goes so well with the soft colors of your paper! Doodle Bug and Taylored Expression, what can I say but, thank you for your amazing generosity. I absolutely love your products and the tutorials and ideas you shared today are really inspirational. Love the flower and appreciate the tutorial – perfect for a Mother’s Day card. Pretty page, and thanks for the details about this pretty flower accent. Thanks for the chance to win – happy NSD a! So I guess I’m slow to the party…never thought to die cut tissue paper-genius! what a beautiful embellishment! and something I know I can totally do =) great prize package too. thanks for the chance to win. Beautiful page, and such a pretty flower too! Oh this flower is the coolest idea and one I will try in the future. Thanks for sharing. Thank you Doodlebug Designs and Taylored Expressions. Always love learning a new technique – the tissue flower is quick and simple and totally awesome. Haven’t used flowers for a long time. This is a great idea! Love the tissue paper flower..your layout is great! Thanks for the chance to win. Question, to stitch on paper, what kind of machine needle do you use? Love the stamps in the giveaway! Thanks for the chance to win! Love the tissue paper flower! I will definitely have to try it. I love the die flower! thanks for the tutorial on the flower, im gonna use that! Such a simple flower – my children could help me make them! I love Doodlebug Designs! One of my ultimate favs for creating story pages. Ooh my goodness, I just love that tissue flower. Darling layouts. Beautiful giveaways. Love that you used a doily on a layout with a photo of a boy! Looks like a very fun and easy flower to make. I am so happy that I found this site really loving all the projects. Such a pretty flower and love the doily! What a cool idea. I love adding flowers to my layouts. Thanks for sharing this technique. I’m going to try one! I Love tissue flowers!! They are so soft and delicate, and really very realistic if done correctly. I am also a huge Doodlebug fan – and that Sunkissed Summer collection is awesome!! Love Doodlebug and the baby die cuts. The flower instuction was great. How is it something as simple as die cutting a flower with tissue never occurred to me? Great idea & this is what I love about this hobby – always learning something new. I love this and the baby dies would be so appropriate for my new addition! Thanks for the flower tutorial! NSD is so much fun, great ideas and prizes. Such a sweet layout. Thank you for showing us how to make the flower. So very nicely done! Wonderful page. Thank you for showing us how to make that simple but beautiful flower. Thank you for the chance to win these awesome giveaways. Love how lovely and simple the flower is – I’m going to try it right now! Also, terrific prizes, SCT! That’s a great way to make a beautiful flower, love the doodlebug prize. Thanks for the chance to win it. Fun flower idea! I can’t wait to try this technique! Awesome prizes! Love that flower! Awesome page! happy NSD…have a great day!!! I love the flower with the brad. This would be an awesome decorative item for showers! Great prizes and love how to make the flower. Such a pretty flower – thanks for the tutorial! Great prizes as always too! I love your flower technique!! SO incredible. Thank you for sharing this!! Such a fun way to use tissue paper. What a lovely flower! Thanks for sharing this technique. This is so cute! I just got a cricut machine so am totally going to do this for my layouts and cards!! Sweet baby and a lovely layout. Thanks for having such great prizes. Happy NSD!! LOVE Doodle Bug!! So beautiful!!! Thanks for the inspiration and Happy NSD!!!! Lovin’ the tissue paper flower. How cute would this be with inked edges, oh the possibilities! Thank you so very much for the chance to win these quality and awesome prizes. Happy NSD! Very pretty flower! Thanks for sharing! Thank you for sharing this awesome idea! Thank you for a chance to win this hour! Love the flower tutorial…the tissue paper layers are perfect without adding too much weight to the page. Wonderful layout and prizes this hour. Thanks for sharing. Love your paper flower!! Thanks for the great idea! Love the flower! Thanks for sharing! I love the flower. I can’t wait to try it. What a cool technique. Love the tissue paper flower. Love the step by step for the flower. Thank you and thanks for the chance to win these great prizes! What a great idea! I love the added tissue embellishment! Love the floral technique, definitely going to have to try it!! Will definitely have to try this technique! Thanks for the amazing giveaways! Pretty flower!! You make it look super easy, I’ll have to give it a try! I’m going to have to try this, thanks for a chance to win. Such a pretty flower (and layout). I’ll have to try this. More great prizes….yay! Great technique to create such a delicate flower! Thanks for offering such great giveaways for NSD!! Great tutorial of the pretty flower! And these prizes are super awesome! Great tip, thank you for sharing it! Amazing layout and flowers! Gorgeous flower! Thanks for the chance. Love these products! Thanks for the chances to win! That flower is gorgeous! Thank you for the chance to win! I absolutely love how cute your flower turned out and it is so easy to do! I can’t wait to try it out on a layout or card! Great idea with the tissue flower! This is sooo simple. And so pretty. I have to try this! The pretty brads really make it special, and easy to coordinate with the rest of the page. Thanks for reminder to use what we have! pretty flower! Love the Doodlebug collection and Taylored Expressions prizes. You guys are awesome! What a fun page! I love all the details! The flower looks amazing – thanks for showing how you made it! Definitely trying this! And thank you for the awesome giveaway! Gorgeous page… love that beautiful tissue flower! Doodlebug and Taylored Expressions… two of my faves! Thanks for a chance at a fabulous prize! Happy NSD to all! That tissue flower is stunning! Love that flower embellishment, thanks for the chance! Great bright colours and super cute babies, can’t get better! And the tissue paper flower, thank you for the awesome idea! What a wonderful flower!!! Happy happy NSD to you!!! Love the tissue paper flower! Thanks for the chance to win such great prizes! Sweet layout and I love the flower tip! Thanks for the giveaway. Very creative! Thanks for the tutorial! I hadnt thought about making flowers with tissue but it’s gorgeous. And the baby layout is darling – I need all those dies! Tissue paper flowers. Duh! Why didn’t I think of that! Thanks for that flower idea! Love that flower – will have to try! Thanks for sharing! Oh doodlebug! You sure know how to bring the colour!! I love the tissue paper flower, so easy, but so creative! Thanks for teaching that flower!!! love IT! Tissue paper flowers? Great idea ? Thanks for giving us a chance to win! Thank you for sharing how to make the tissue flower. Great tip! FABULOUS layout and GORGEOUS flower Sheri!!! Sending a big THANK YOU to Doodlebug Designs and Taylored Expressions for sponsoring these giveaways!!! Your flower is so sweet! I love the idea of the pretty tissue paper to create it. So many options. Thank you for the tissue flower tutorial. I have the perfect die for this. What a great page, Sheri….and LOVE that tissue paper flower. Simply elegant on this sweet page! And great prizes, too….would love to win any of them! Thank you! That baby is a cutie! Love the easy flower! Happy NSD! Love the flower idea of using tissue paper! what a great tip-can’t wait to try this!!! Love how the flowers were made with tissue. Thanks for sharing and wonderful prizes too. Happy Scrappy Day! Great flower technique. Great layouts and FABulous prizes! Thanks for a chance to win! What happy, bright colours. And with a few new babies on the way to scrap for, baby products would come in handy!!! I love the flower idea. Doodlebug is a favourite of mine and love Taylored Expressions dies. I have fondly watched Sheri’s children grow up… From magazines and now to blogs… I have always loved her pages! The flower idea is excellent! 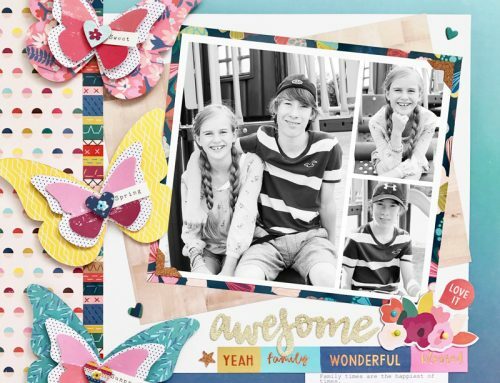 Doodlebug and Taylored Expressions – now that’s a winning combo! Love the bright happy colors of the Sunkissed collection! A lovely layout with the tissue flower! and the prize is wonderful, I just can’t resist such fun dies. Love it. Love the flower. Love that flower! Also love both Doodle Bug and Taylored Expressions. Thanks for the inspiration! Love the tissue paper flower! Happy NSD! Oh wow! Doodlebug colors always make me gasp! I can’t seem to get enough dies, so thanks TE! Such a pretty flower! I love the bright colors of the Doodlebug collection. Love them!.Thanks for the giveaways!. beautiful airy flower. love it. I really like that tissue paper flower. I love these types of flowers! Thanks for the chance to win. Love quick and easy ideas like that. Thanks, Sheri! Sheri’s flower embellishment is so sweet! Thank you for demonstrating how quick it can be to make your own simple yet very pretty adornment! Speaking of sweet, another sweet prize package this hour – thank you!!!! That tissue paper flower is too cute! I never thought about diecutting tissue paper! Thanks! Love the die cut tissue flower! Thanks for the chance! What a great flower, thanks for the idea. Now I just need a flower die! What a great prize package, thanks Doodlebug and Taylored Expression, you guys are awesome and I would love to win this package. Thanks so much. Those baby themed dies are so cute! Great flower-making technique! I am imagining all the colours I could use to make these with my stash of tissue paper. Obviously I need to run out and purchase a flower die cut today Sheri! Thank you so much for this easy tip!! Taylored Expressions AND Doodlebug—LOVE!!! Beautiful flower and I also really like the check mark journaling…sweet and simple! Love these prizes from Doodlebug and Taylored Expressions! I could put them to good use for the scrapbooks for my seven grandkids. Thanks for the chance to win them. So pretty – and simple! Hope the sun shines down on me! Love this sun kissed collection – and Taylored Expressions dies! Doodlebug is just my style. The colours are always so bright and fun! the pull up flower is great diy embellishment! Fantastic baby themed dies….crossing all my fingers for this. Love the tissue flower idea! Thanks for the chance to win! What a great flower idea! Love that is used things we already have in a new way. I love that paper tissue flower – what a great idea! Thanks for sharing. Beautiful layout. I was inspired to create my own flowers for a layout this weekend. Thanks! pretty tissue flower. I am excited to try this. Clever idea to diecut layers of tissue, thanks for the tip! Thanks too to the sponsors – geat prizes! Happy NSD! What a great idea, thank you! You guys never disappoint! Those flowers are absolutely adorable! Thanks for the cute tutorial.. and for the opportunity to check out the new line from Doodlebug, they are the cutest little images for summer. Super cute!!! Thanks for the chance. Wow! Never would of thought of die cutting tissue! Beautiful flower and page! Two of my favorite manufacturers!! What a great flower technique! Thanks for the idea. I had a ‘delayed’ NSD – for me it’s today!! But I’m so glad to be able to have the fun with SCT & have NSD on my schedule. Thanks to the partners for the great prizes – it’s exciting to enter to win! Thanks for giving me such an enjoyable day!! ? Happy NSD! Thanks for the inspiration and giveaway. Thanks so much for the chance to win a great prize! Love the “sun kissed” summer collection!! Awesome giveaway! Why didn’t I think of that??!! That is an awesome tutorial to make tissue paper flowers. Thank you Doodlebug Designs and Taylored Expressions! What a quick, and easy, way to create a Tissue Paper Flower. Using different colored tissue paper, or even some colored felt, could make it so easy to match the Project you are working on. Thank you Doodlebug Designs and Taylored Expressions for your generous, and so sweet, prize packages. Two of my favorite papercrafting Vendors. I will have to try the tissue flower and thank you for the great tip! The Sunkissed Doodle Bug collection is cute cute!! And I would love the Taylored Expressions for my little Grandbaby’s album!! Thank you for the chance to enter into this drawing!!! Okay, Doodlebug is my favourite! Thanks for sharing…beauty flower! Great flower technique, thank you SCT! This is a gorgeous prize! I love the idea of the tissue paper flower, guess I’ll have to make some of my own!? Wow! Doodlebug, my fave! Happy NSD and thank you for the chance to win! I forget that we can make gorgeous flowers using tissue and a die such as the one on your fabulous layout, so thanks for the tips and reminder. Also I love the giveways from Doodlebug with their fabulous Sunkissed collection with those yummy colors and designs and Taylored Expressions dies are, well, to die for. So much fun and so useable for cards and layouts. Love this hour. Such a clever idea for a dimensional flower and a great use of tissue paper! Thanks for sharing! Tissue paper flowers – what a fabulous idea. Big Thank you to all the sponsors. Loved the inspiration, I simply forget to use my dies in different ways/with different materials. Awesome idea, love your flower! Great layout! Ack! Love the bright summer colors!!! Love the handmade flower! Thanks for the chance to win. I love the flower. I am going to try this as I think it would look awesome on a card. That flower turned out so pretty! Two of my favorite companies…I love this giveaway! Beautiful flowers – can’t wait to try it! Thanks for the chance to win another great giveaway!